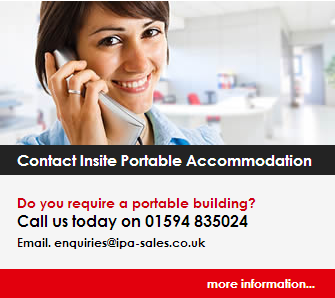 Insite Portable Accommodation: Hire from Insite portable accommodation. Hire from Insite portable accommodation. We have a Huge range of portable buildings,Jackleg buildings anti vandal units, modular buildings available in stock at competitive prices. All will be great for classrooms, changing rooms and portable office space. Please call 01594 835024 for more information or visit www.insiteportableaccommodation.co.uk. Minimum hire term 4 months.